It’s time for another hilarious guest post here on Outmanned. Today I’m lucky enough to have Dr Samantha Rodman from Dr Psych Mom as my guest blogger. She has a gift for wrapping her very clever advice up in such a funny package that you don’t even realize that you’re learning between fits of laughter. Her piece today is no different. You think you and your husband need to spice up your date nights? You may not have to look as far as you might have thought for some new ideas. Enjoy this post, and if you like it stop by her blog and check out the rest of her writing. She’s definitely worth your time. Are you over the cool new restaurant downtown and the club around the corner? Bored with wine bars or concerts? I’m sure you did enough of that juvenile stuff before kids. Get a sitter and pick one of the following more mature, yet still wild and crazy options. You have me to thank if your husband falls in love with you all over again. 1- Target. While perusing the patio furniture on double markdown, you can leisurely make out on the chaise lounges. Pity the couples there with cartloads of children. Then get yourselves some candy at the cash register. You deserve it. 2- Grocery shopping. How often do you get to really take your time looking through the produce? Stroke the sweet potatoes while looking seductively at your man. Make sure to moan sexily when the spray from the vegetable mister hits your face. He will be unable to prevent himself from groping you in the pet products aisle. Make out in front of the dog food. 3- Laundry. Send the kids to your mom and catch up on all the loads of laundry you need to do. When the dryer is done, take out the hot towels and frolic in them on the laundry room floor, because you are young at heart. Make out in the steam rising from the freshly dried towels. Then rewash all the towels because you haven’t Swiffered the laundry room in six months. 4- Rite Aid. Drugstores provide another frisson of excitement. Go tour the display with all the condoms and lube that is placed awkwardly right in front of the pharmacist. Make out in front of the display until all the other customers walk away in disgust. Discuss whether you should get a $21 box of specialty condoms. Choose to spend the money on some new Swiffer cloths for the laundry room floor. 5- Couples spa night. By this I mean you both go to Supercuts. If you call ahead you can sit next to each other. Make kissy faces at each other in the mirror. Make out while touching each other’s new haircuts. 6- Starbucks. Get flavored lattes and biscotti. It’s like being in Italy. Hum the theme music from the Godfather, and make out while calling each other endearments in pidgin Italian. 7- Get your car washed. Since this seems to terrify your toddler, you have no other time to get it done. The thwap thwap thwap sound can get you in the mood. Make out as your car lurches through each cycle. You may get too excited to remember to take down the antenna. 8- Clean out the fridge. The cold air is a welcome contrast with the heat you and your husband are generating by your smoldering gazes as you throw out whatever the hell was in that tupperware from three weeks ago. Every time you find a rotten grape in the bottom of the fruit bin, make out. 9- Organize the garage. You can barely walk around in there. But who needs to walk when you will be embracing passionately and making out every time you find a box full of weird cords and electrical wires. 10- Go to the 7-11. Get Slurpees and role play that you’re teenagers on your first date. Make out next to the hot dogs being irradiated in ultraviolet light. Laugh heartily over the fools wasting their money on exotic adults-only resort vacations when you can have this much fun for free. There you have it. Go put on your slinkiest little black dress and try some of these hot ideas. Well, only try one per evening. Your husband isn’t 16 anymore, and you can’t expect him to be able to withstand more than one of these wild adventures at a time. 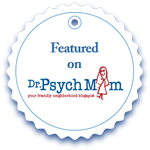 Dr. Samantha Rodman is a clinical psychologist in private practice in Maryland and a happily married mom of three kids under 5. She has tried most of the aforementioned date night ideas. She blogs on Dr. Psych Mom, The Huffington Post, JDate, and Pattiknows.com. She has also been featured on Scary Mommy. For more hottt marriage tips, like her on Facebook, and tweet to her @DrPsychMom. Ha! I one told my Girl Scout troop that is I ever caught them making out in front of the hot dogs, I would tie them to the back of my car and drag them home. (We were having a discussion about self respect… And they were teenagers.) So… The 7-11 part had me in stitches!